Doreen Baingana's humorous guide to becoming a mother. I like Doreen Baingana's No. 5, 8 and 9. I already have my own copy of the book. It is a brilliant coming of age story I have read in a long long time. It is on par with Nervous Condition. I am sure it will become part of African modern classic. Jeremy, yes the cover is attractive. Never heard of the author, but I was drawing to the cover and I noticed that you designed it. Not bad at all! 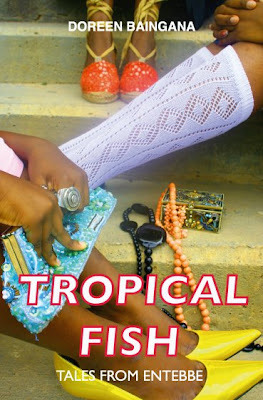 I bought my copy of Tropical fish at the Nigerian International Book Fair. I totally agree, it is on the same wavelength as NC. What about that long love letter? It is so beautiful, so harrowing. But then the tales of boarding school reminds of me of my own school days.